Liz and Dave King visited the Jura mountain range in France and were hugely impressed by not only the stunning scenery but also the interesting local attractions such as vineyards, pretty towns and an expansive underground salt museum. 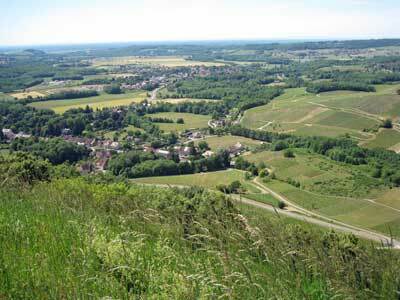 The Jura Mountain range stretches over 200kms and form part of the Swiss border with France. It’s an area of France that was on our list of places to go touring with our caravan and we are so glad we did, and sorry we’d not visited sooner. There’s plenty to see and do whether you like walking, cycling or driving around and we enjoyed our time on foot exploring the beautiful town of Dole which has a magnificent Baroque collegiate church and forty three historical monuments. 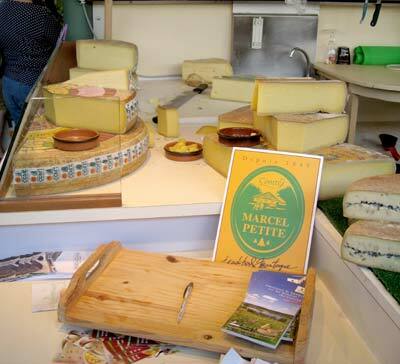 Set on the banks of the river Doubs, where you can stroll, we arrived to discover it was market day and the market stalls curved their way through the narrow streets selling, amongst other things, local Jura wines and Comté cheese both of which we sampled and enjoyed. We also discovered that Louis Pasteur the French chemist and biologist who discovered germs and invented pasteurisation, was born in the town. 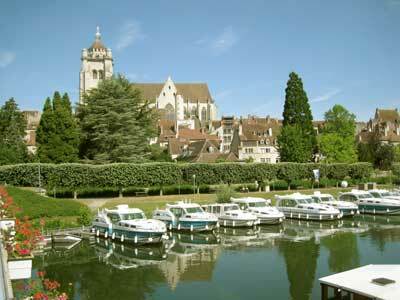 Arbois is the capital of the region’s wine production and gastronomy and there is a Jura Wine Trail which was voted European Tourist Destination of Excellence in 2008, that has over 150 wine tasting cellars open to the public. It’s a small wine producing area that produces light red wines and several white wines including a golden sparkling wine. Jura wines are not often seen in high street wine stores in the UK. We wandered in hot sun through the beautiful village of Baume-Les-Messieurs and its Imperial Abbey, saw the waterfall, enjoyed the spectacular views from the canyon. We recommend getting there early as parking is at a premium. We headed underground in the spa town of Salins-les-Bains to the Salt Museum for a guided tour which lasts an hour, but despite the external temperature we were advised to wrap up warm as the temperature underground is just 12°C. Too late we discovered that strappy sandals were inappropriate footwear. In the subterranean salt spring, water is pumped from a depth of 240m up to the surface and its density is higher than that of the Dead Sea. There are walking routes of the town with maps available in the tourist office. The Jura is an area overlooked by us Brits as we dash through Burgundy to the West, on a North to South assault of the autoroute to the popular and often overcrowded South Coast. It is worth turning off at Dijon and heading east to enjoy an area not spoiled by tourism. We picthed our caravan at Camping La Plage Blanche, a lovely camp site on the outskirts of the small village of Ounans in the foothills of the Jura Mountains. It’s owned by Franco-British couple Alban and Clare who are friendly and welcoming. I’m glad you liked the article, and it’s great to hear other caravanners enjoy the area too. Interestingly the area was also on TV last night in a programme featuring Raymond Blanc (the French TV Chef) talking about the Comte cheese and the area’s famous wine – so seems we are trend setters! Gordon – It would be great if you could write an account of your caravanning experiences for our “Me and My Van” feature, if this is something that you would like to do then just reply to the email that I’ve just sent through to you. Good to see an article on this region which I think is one that is underated and not often on people’s list of holiday destinations. We went there for two years running staying at Clairvaux Les lacs and visited some of the places mentioned here.